We are in search of individuals with a passion for cannabis and a commitment to excellence to join our growing team. Ideal candidates will be people and service focused, with the necessary team-minded, communication, and interpersonal skills to represent our company and its core values. The role of the Store Manager is to drive the success of a store by delivering an exceptional customer store experience through the team they support. As a leader you are someone who thrives in a growth organization and excels at connecting with people, driving business results, and building teams of people who are aligned to our mission. The Assistant Store Manager supports the Store Manager in developing and implementing the business strategy and leading the day-to-day operations in the store. In partnership with the Store Manager, you will be responsible for driving results by effectively building, developing and coaching team members into a high performers that achieve sales goals, meet brand standards and deliver operational excellence. Shift Managers will offer leadership and support to all dispensary staff, ensuring that the store runs seamlessly, and service standards are met. You will be responsible for motivating a team to deliver the best-in-class customer service and products to our valuable customers, in every interaction. 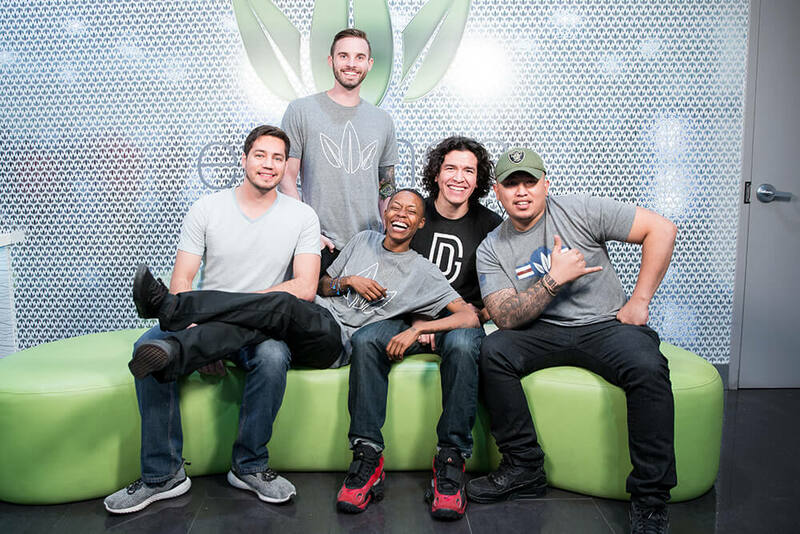 Dispensary Team members are responsible for providing the customer/patient with superior service experience. You will maximize sales by welcoming customers/patients and delivering efficient, friendly, best-in-class service while ensuring the store is neat and well-presented at all times. Team members will possess superior product expertise, facilitate the selection of the appropriate cannabis products and follow all compliance regulations. A passion for cannabis and desire to continuously self-learn and expand personal product knowledge of cannabis, is necessary. Cultivation Technicians will work support the post-harvest and harvest functions of our cultivation facility. In this role you will have the opportunity to work as part of the harvest, trim, or package teams. These positions will work hands-on with cannabis and be expected to meet daily production quotas. 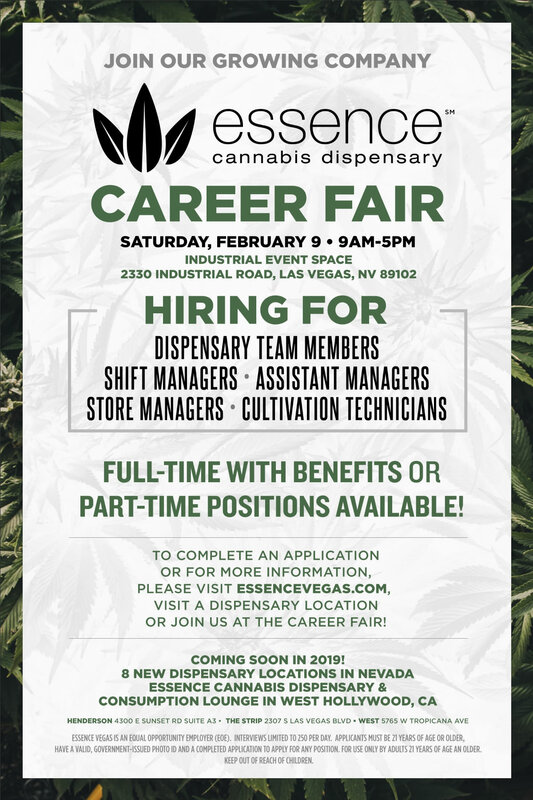 Essence Vegas is an equal opportunity employer (eoe). Interviews limited to 250 per day. Applicants must be 21 years of age or older, have a valid, government-issued photo ID and a completed application to apply for any position. For use only by adults 21 years of age and older. Keep out of reach of children.